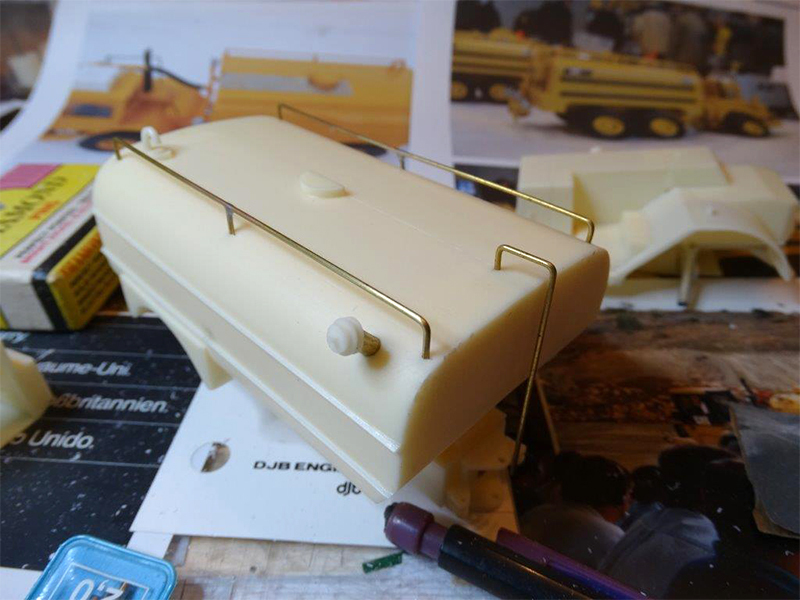 It is our goal for the coming period in this "Making of a ...Caterpillar D25C Water Tanker" to show how this custom model will be achieved. 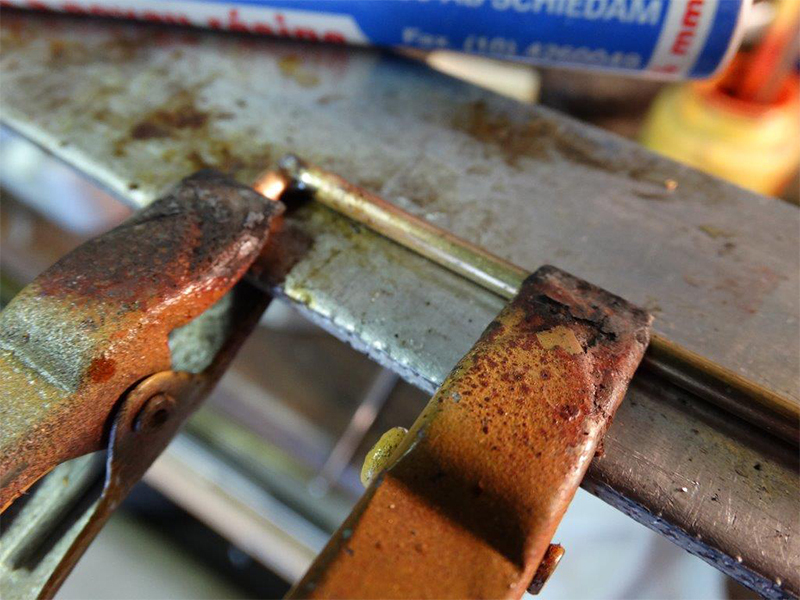 Gertjan shares his building skills through the photos with little notes guiding us in the construction process. 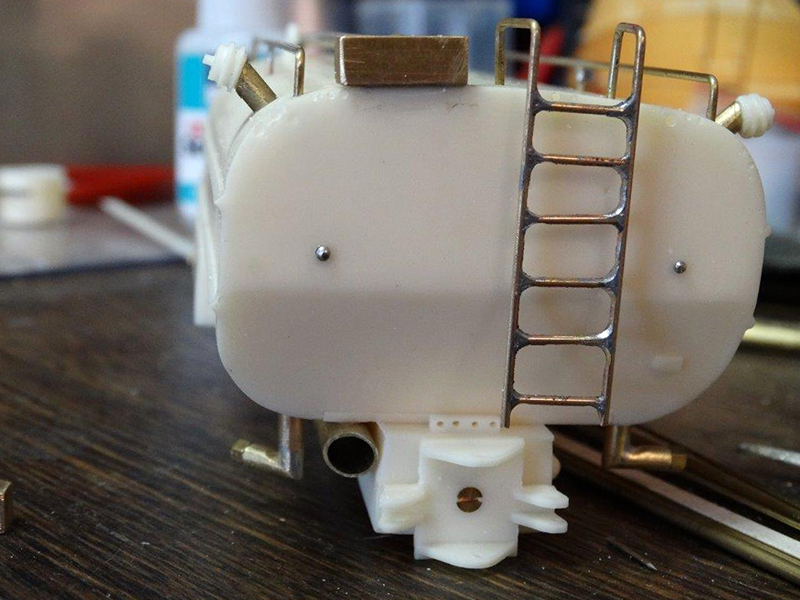 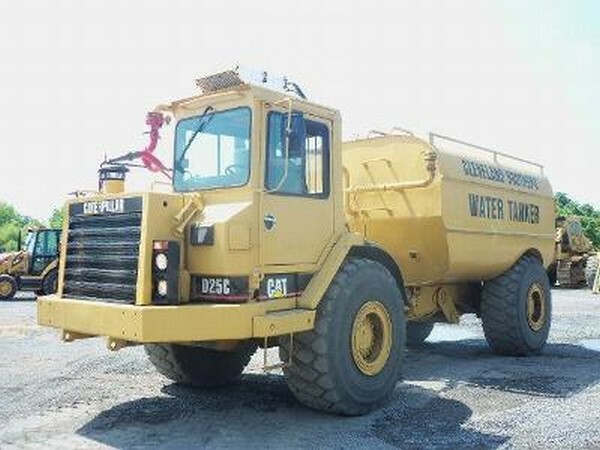 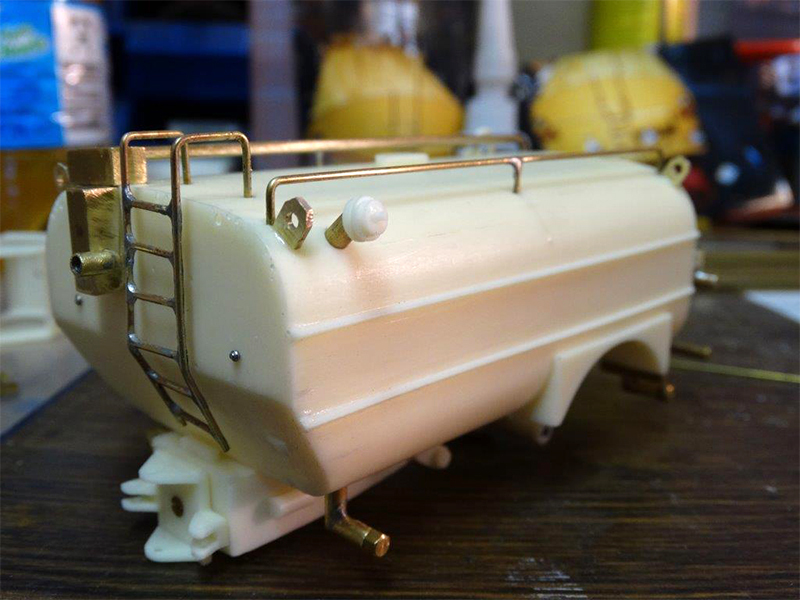 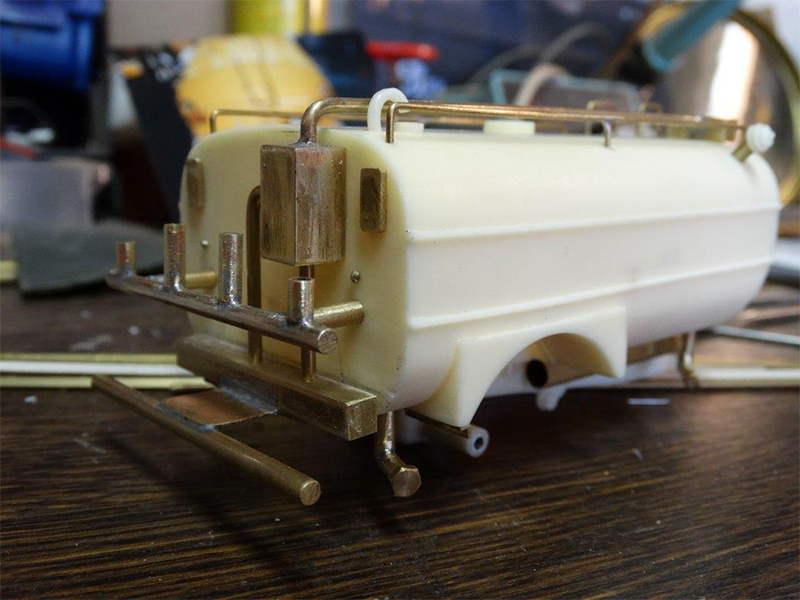 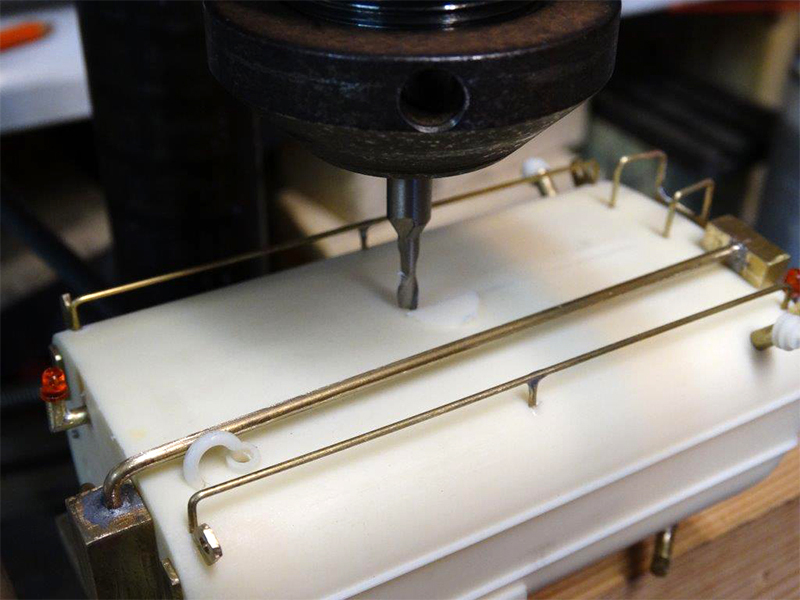 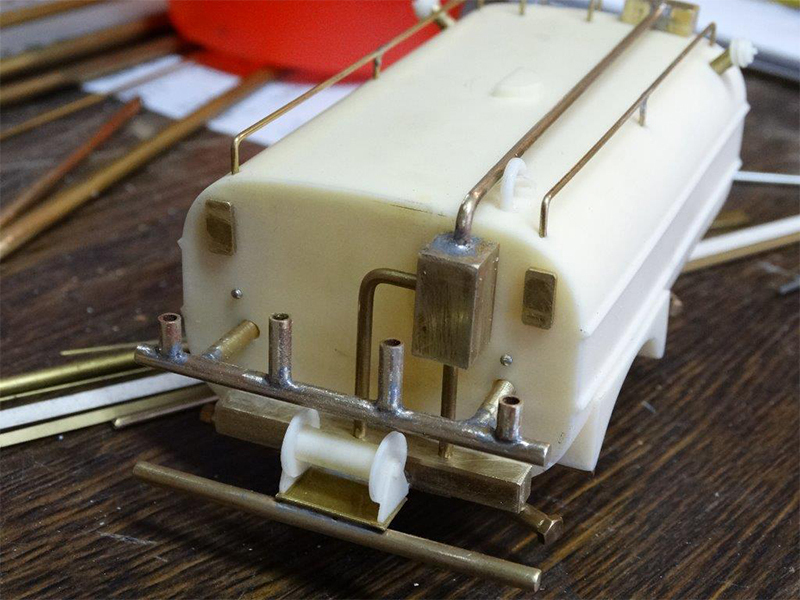 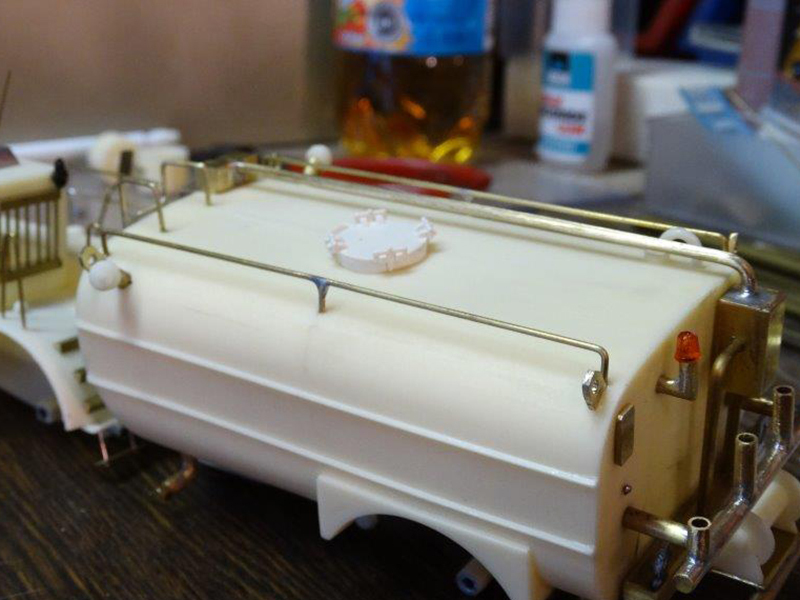 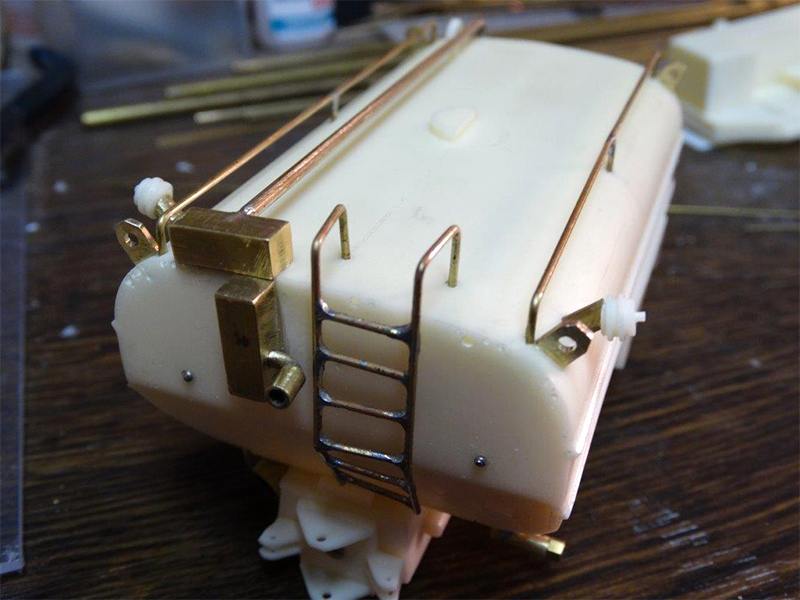 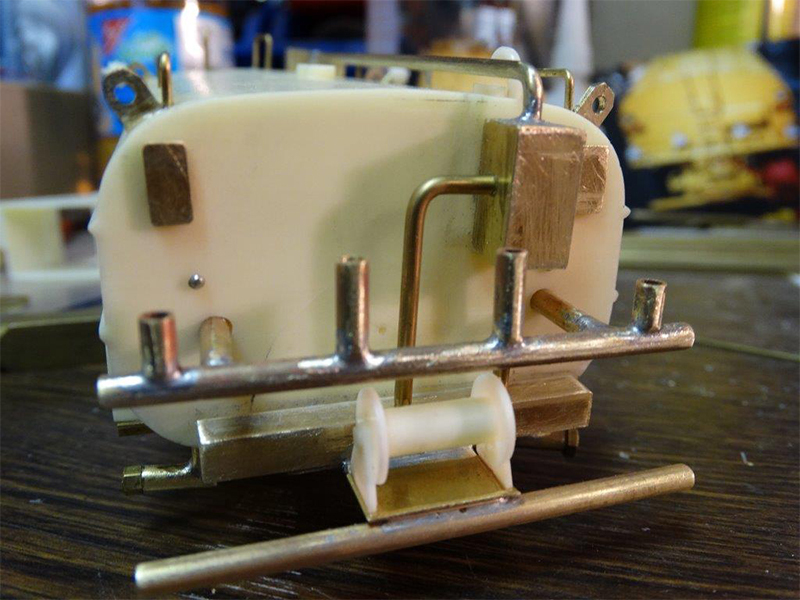 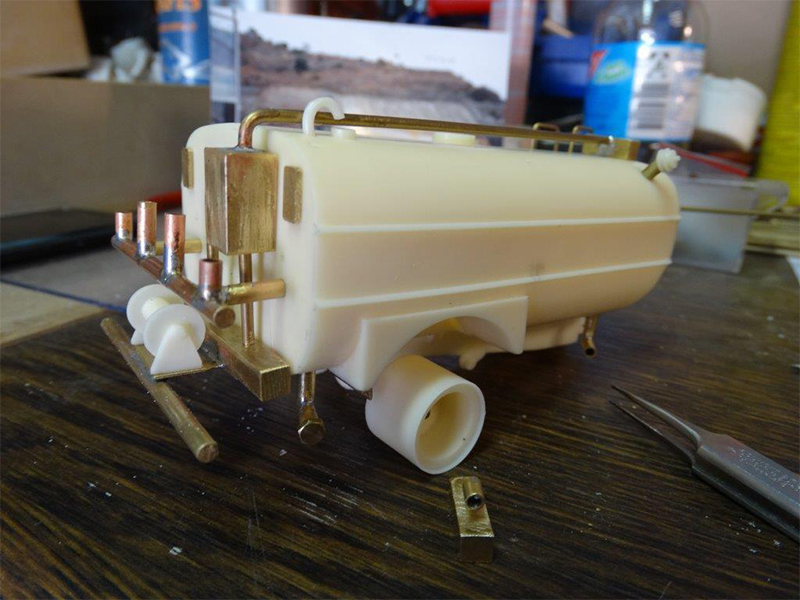 Gradually it shows the making of a unique model by using the resin Kit from CypModels in 1:50th scale to create his Caterpillar D25C Water Tanker. 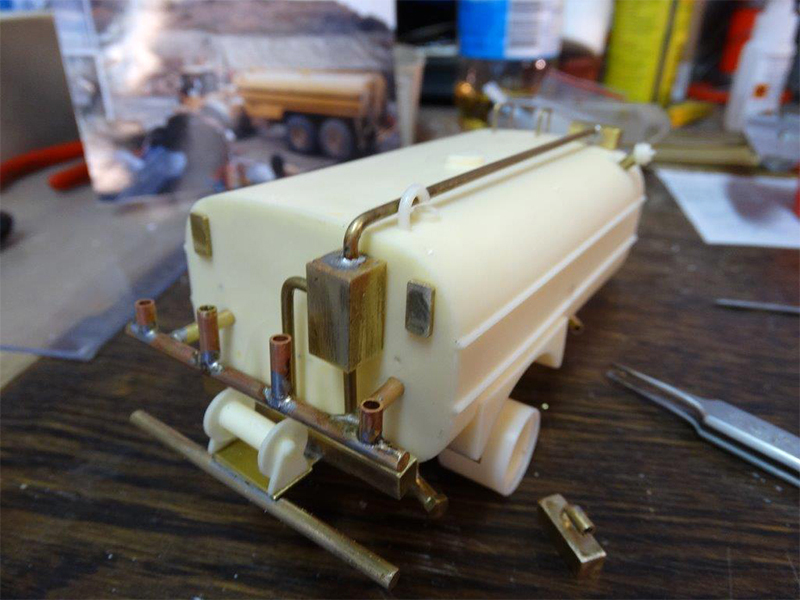 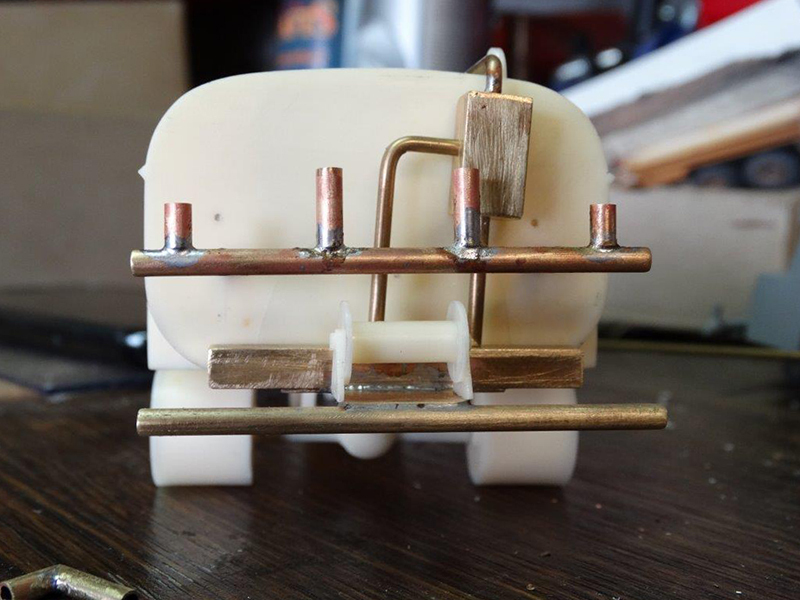 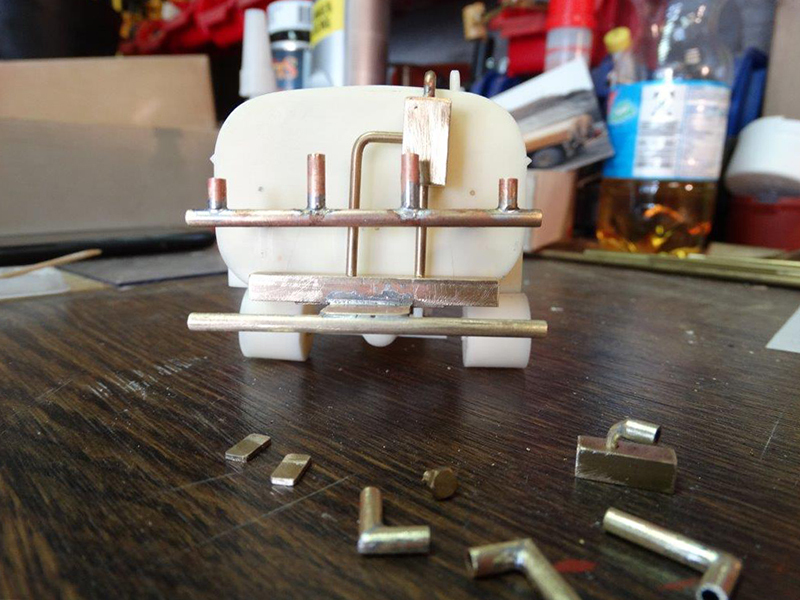 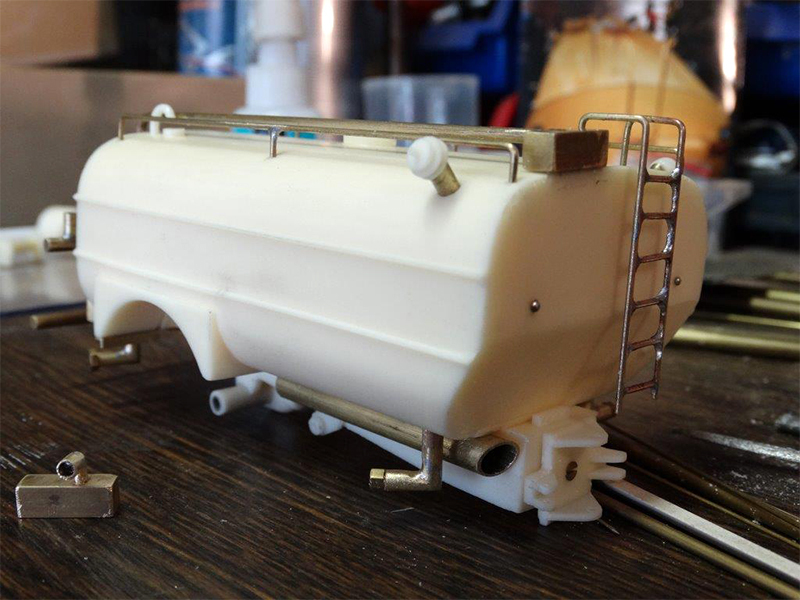 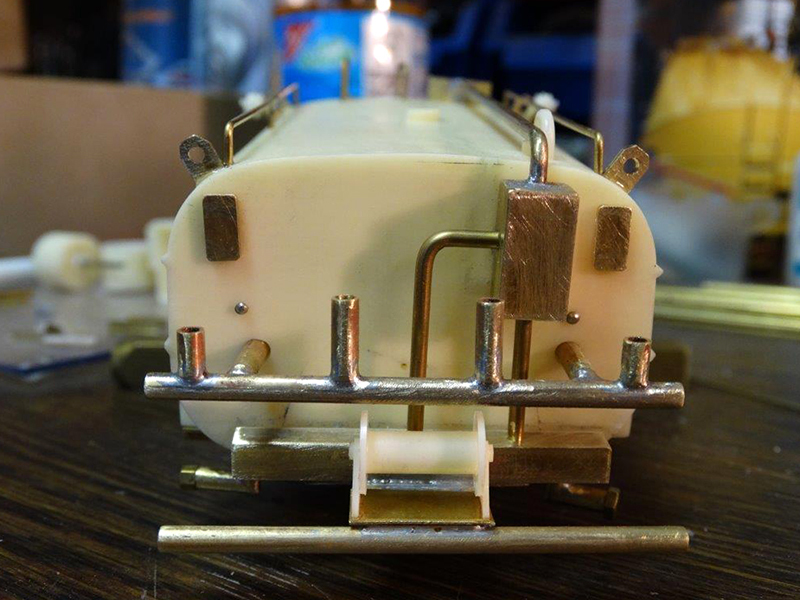 Despite the fact that kit was executed perfectly by CypModels and almost in every detail has been reconstructed on the basis of old photos and technical brochures of the 1:1 machine Gertjan nevertheless decides to make his own version. 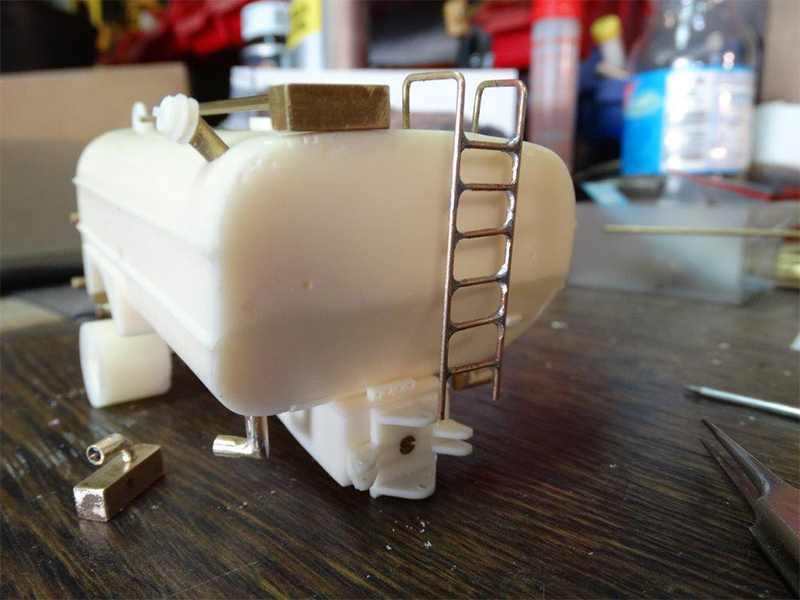 The actual construction begins with the necessary adjustments to the Water Tanker upper body construction: stairs, hand rails, rails on top of the water tank construction and all piping are made by Gertjan completely from scratch from brass material. 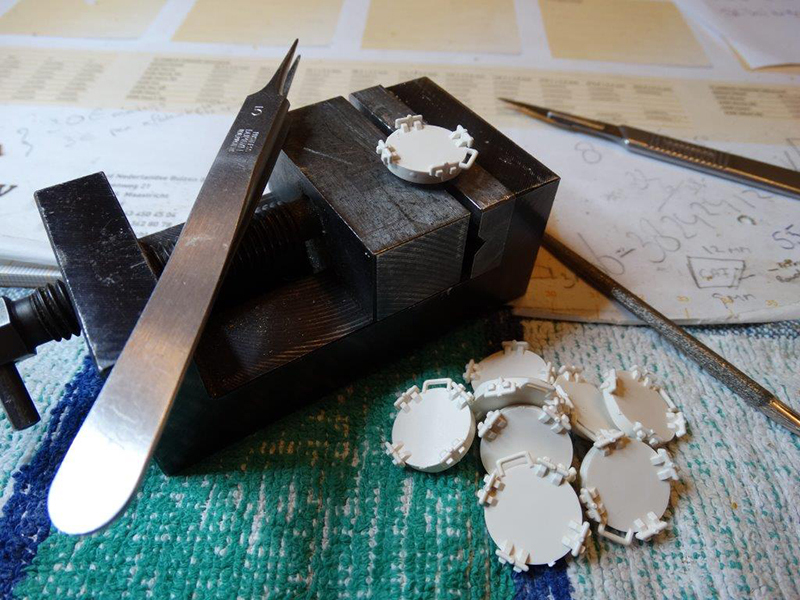 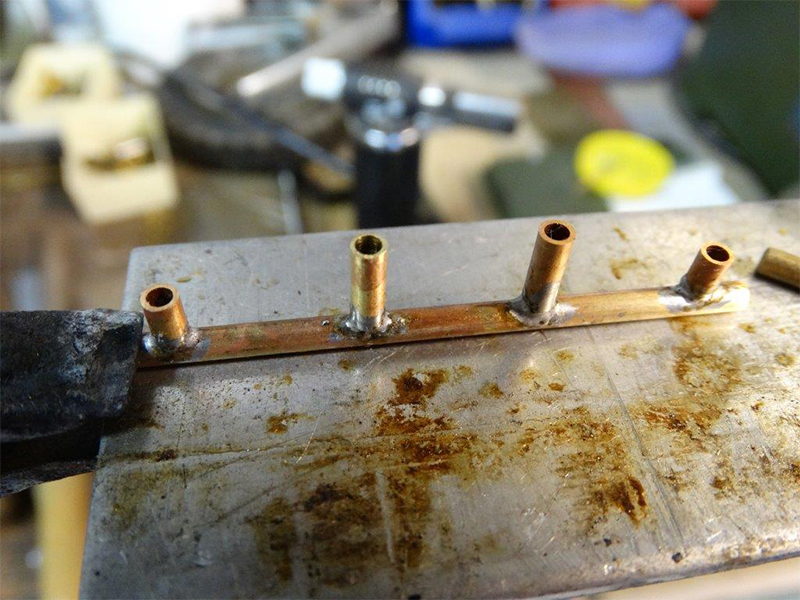 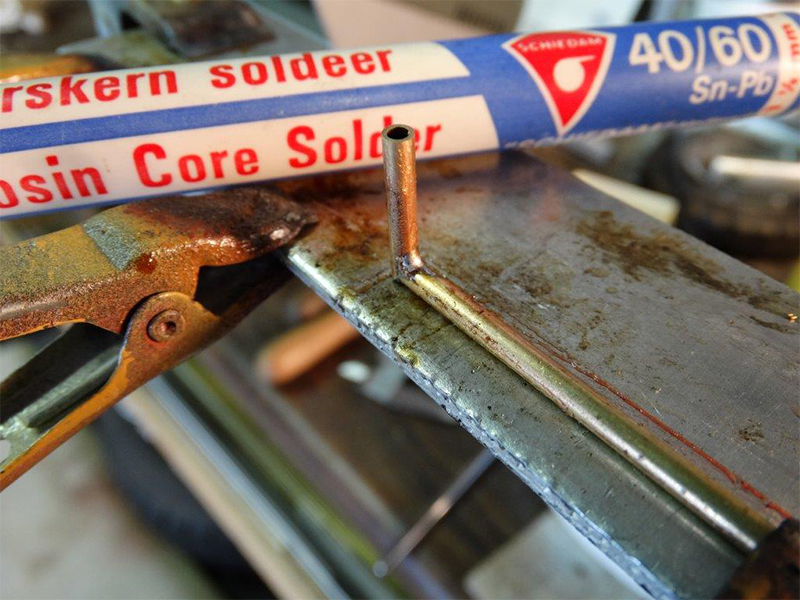 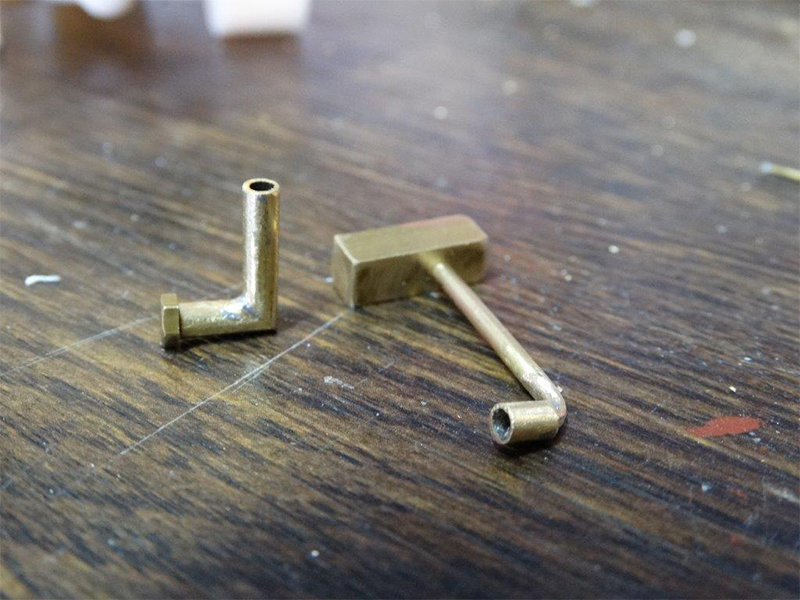 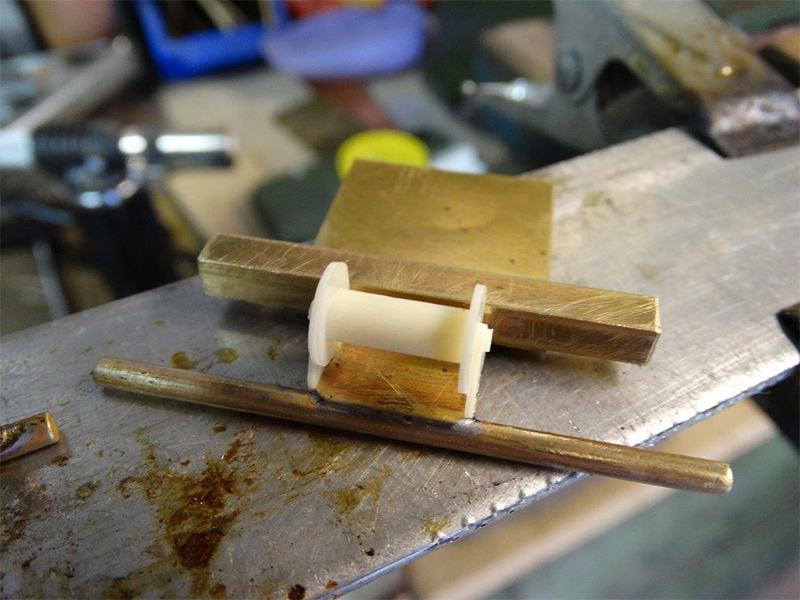 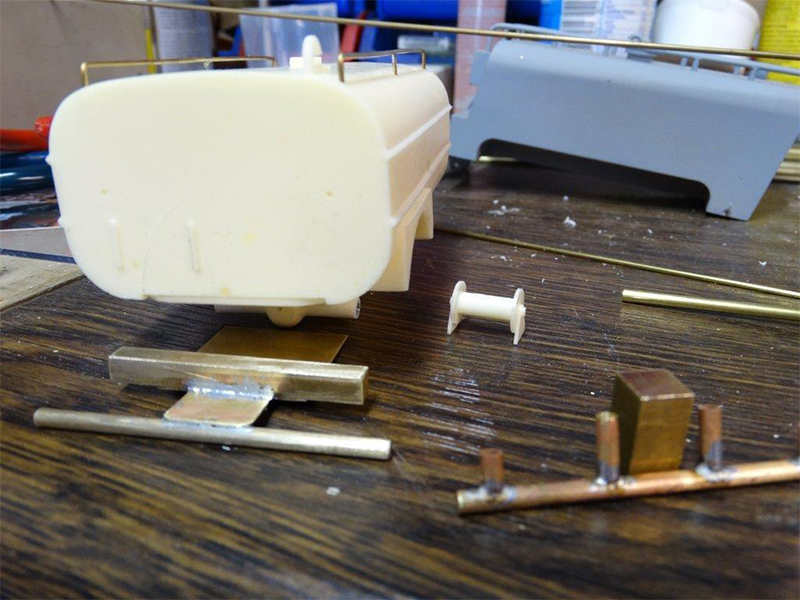 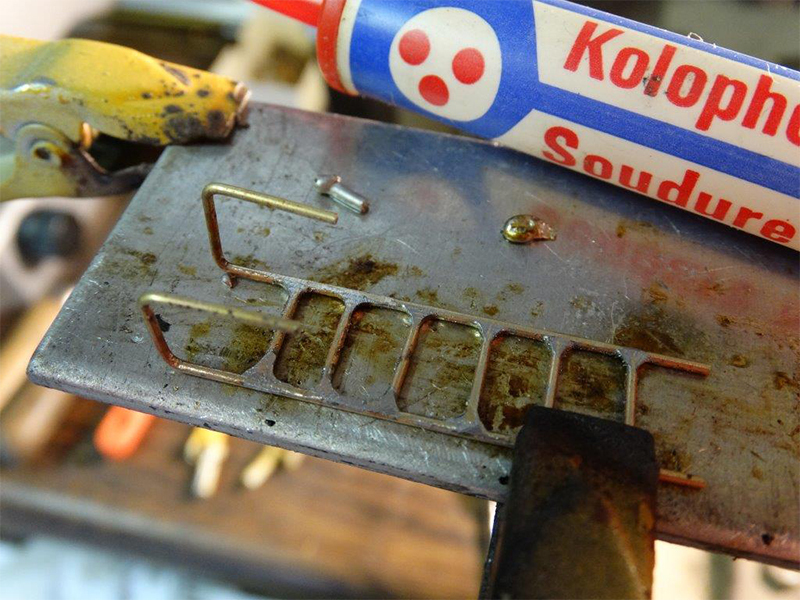 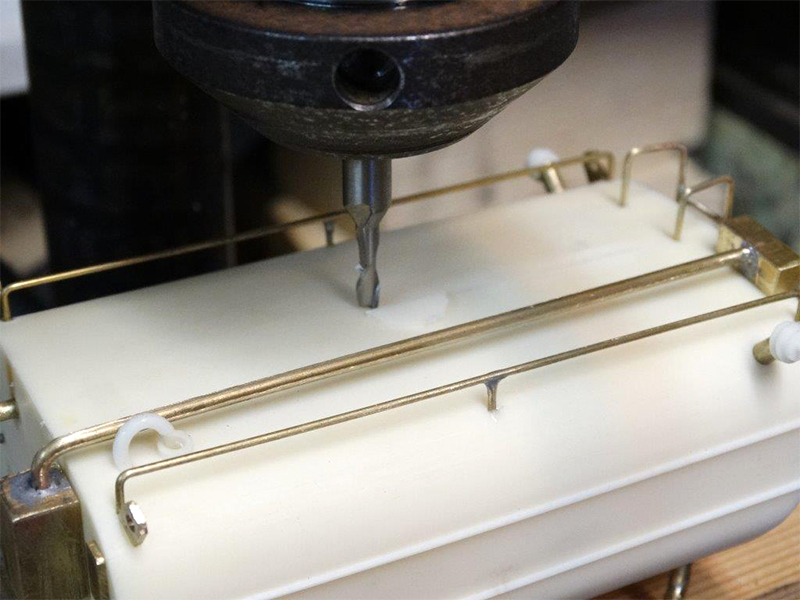 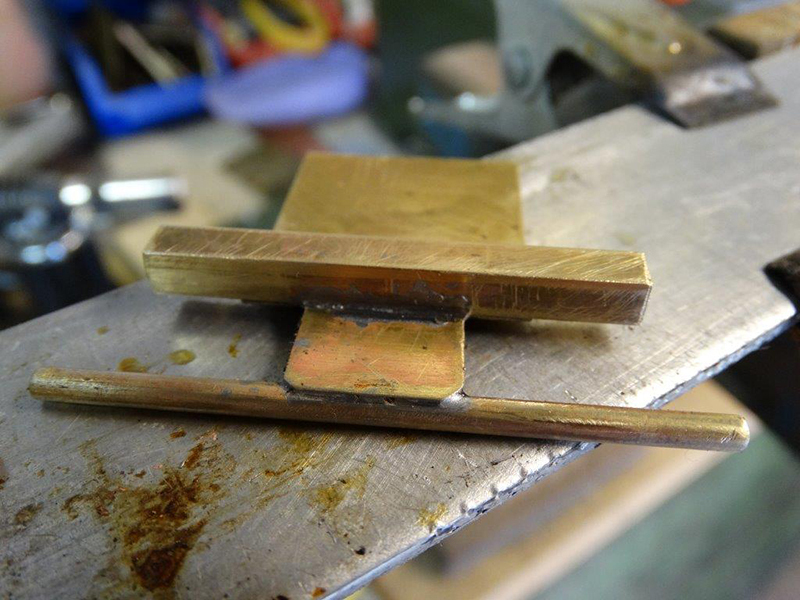 The main pipe of the spray nozzles is through Gertjan self constructed and soldered. 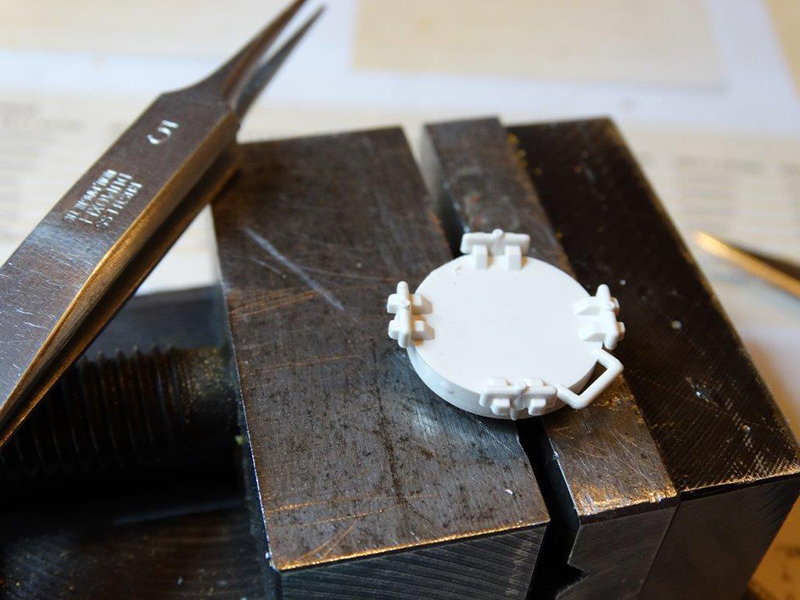 At the back of the structure of the Water Tank are small metal plates arranged to be able to mount on the lighting units. 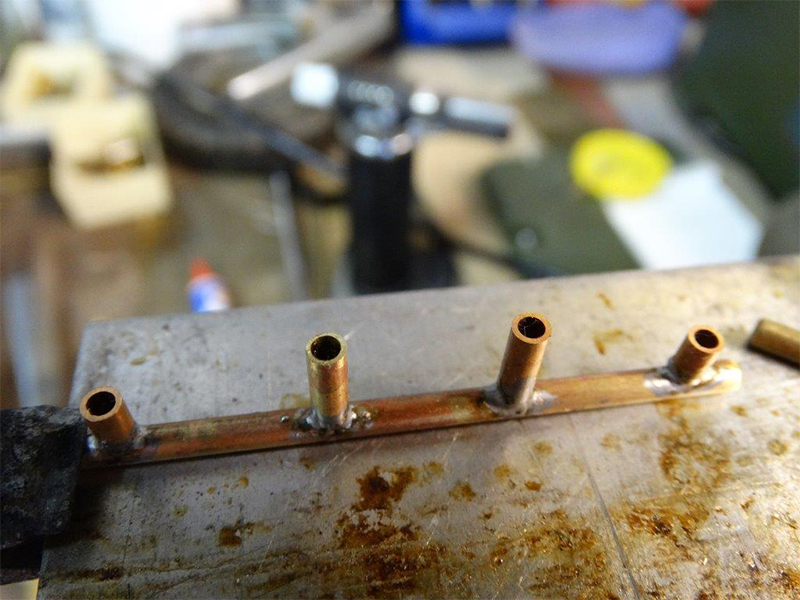 At the bottom of the Water Tanker construction is by Gertjan at each corner affixed a brass material fabricated filler neck. 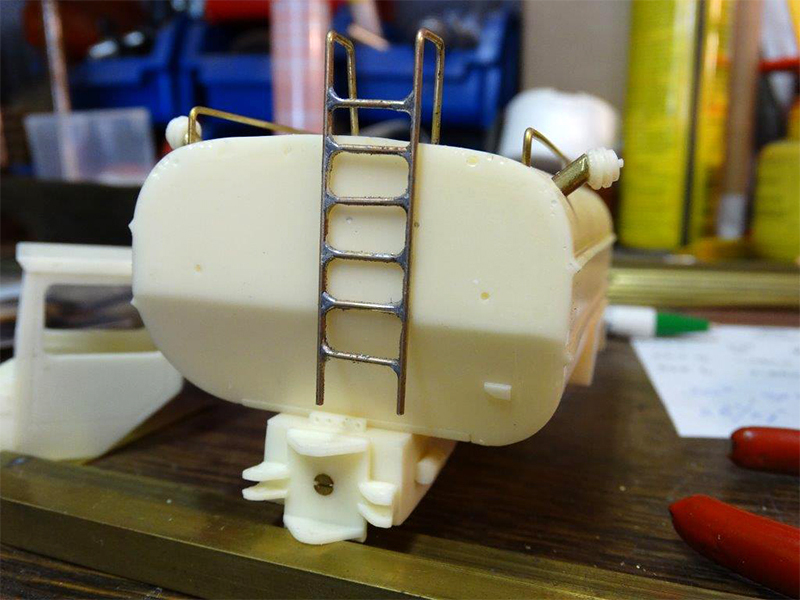 On top of the Water Tanker structure are mounted on all four corners a lifting eye made of brass material. 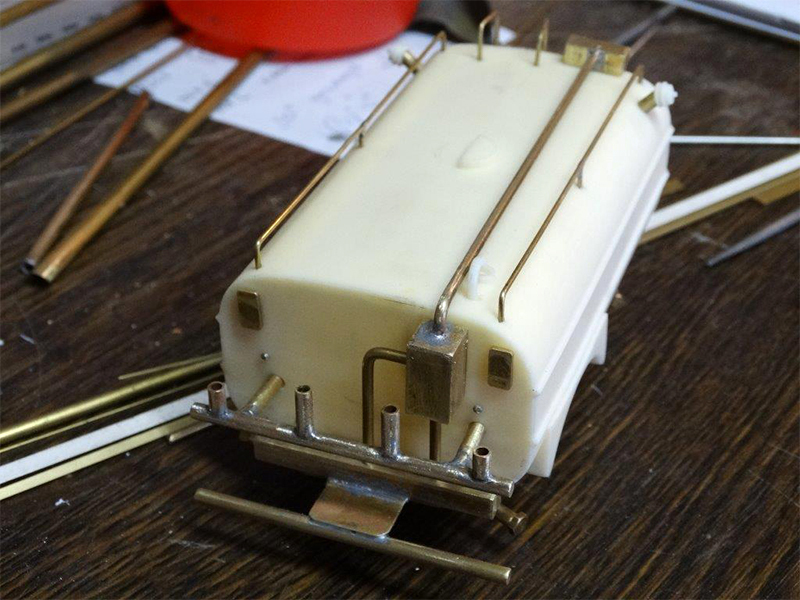 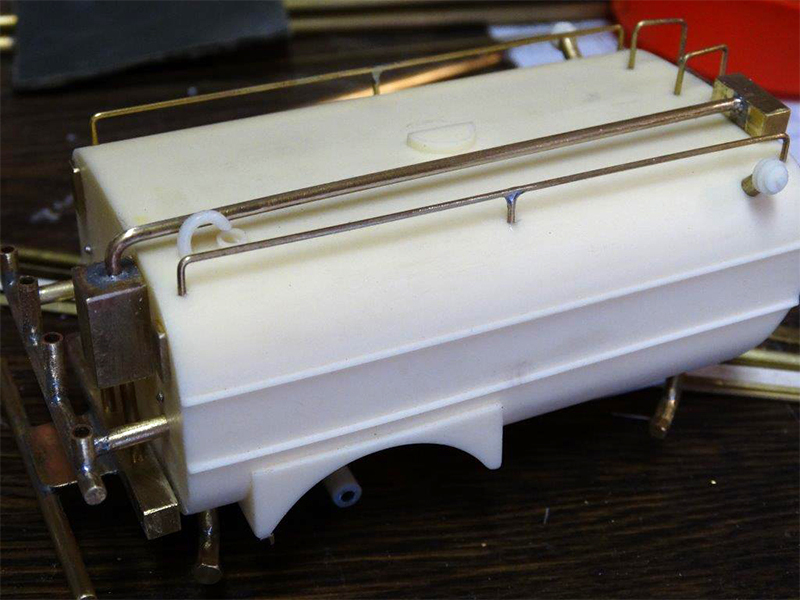 Subsequently, the existing molded, fill hatch on top of the Water Tank structure has by Gertjan milled completely and replaced by a very detailed and ready-made plastic specimen from the Bulk Tipping trailer in 1:50th scale from the collection of Tekno. 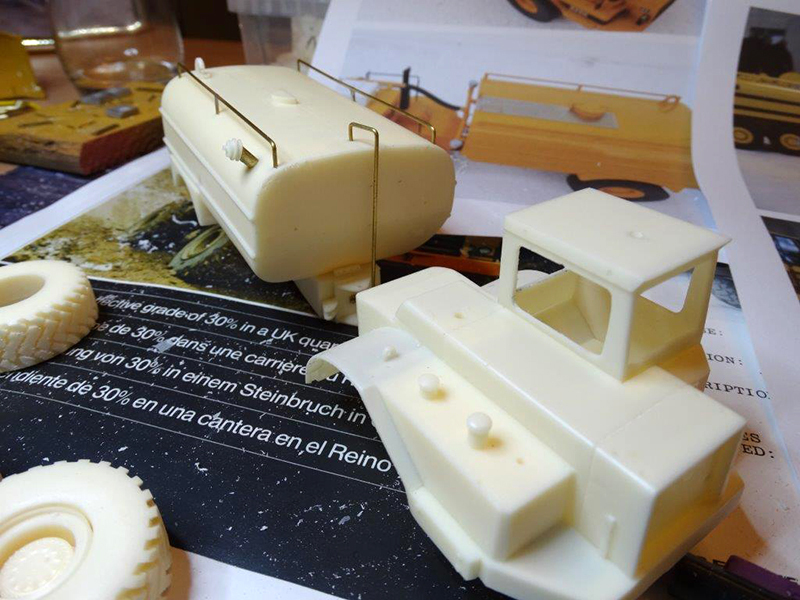 Most of the scale models of Tekno can be ordered in separate parts. 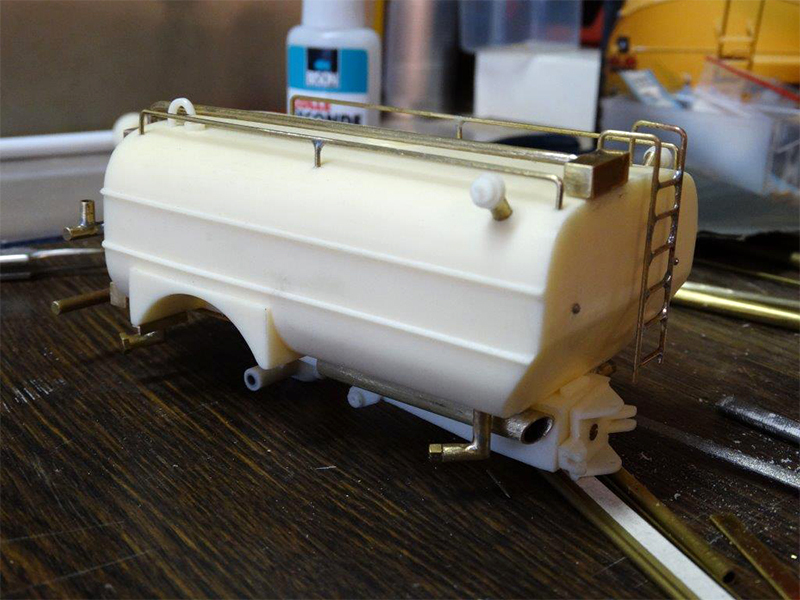 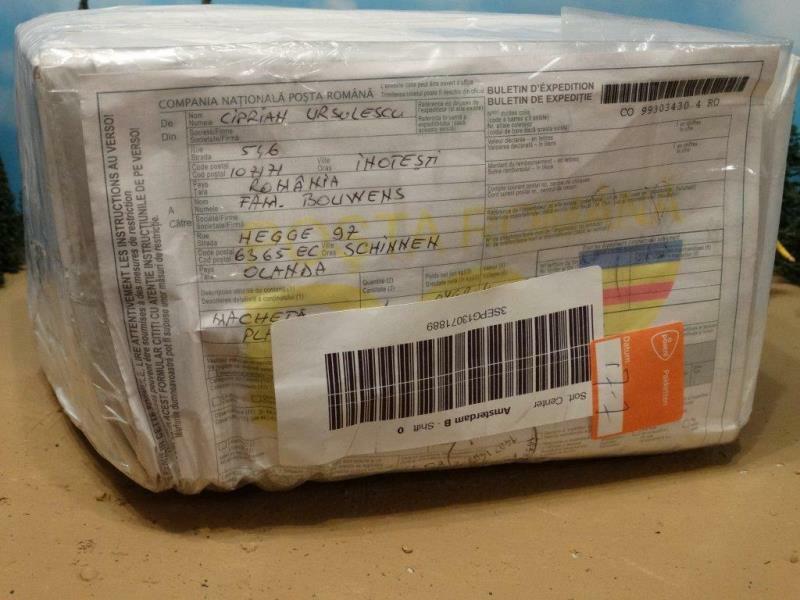 Thus one can order the manhole Gertjan used under item #1466 at Modeltruck Onderdelen Service (MOS), founded in Werkendam, The Netherlands.